of an application. Many of the examples developed in previous chapters have their own Modules. If the function Convert Temperature(degrees As Double) is going to be called fro several places in your code and from within multiple. Forms, then you should implement it in a Module. 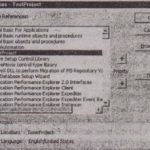 Procedures stored in a Module can be called from any part of an application; the same is true for variables that must be accessed by multiple procedures. This is one method by which Forms and procedures in different Forms can exchange information. which makes the property unique not only in the project but in the operating system itself. A Class Module is a server or an application that provides its services to client applications. When you create.an object variable to access the properties and methods of a Class you’re actually invoking an executable file (OLL or EXE)which runs in the background and waits to be contacted. Every time you set or read a property value or call a method this executable activates performs some actions and optionally returns some results to your application. Servers can be implemented as ActiveX EXE or ActiveX DLL components, The difference between the two lies in how the server is executed. 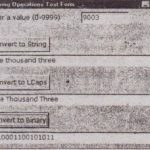 An ActiveX DLL component is an in-process server. The DLL is loaded in the same address space as the executable that calls the server and on the same thread as the client. At any given moment, however either the client application or the DLL is running. The benefit of DLLs is that they are faster because in effect they become part of the application that uses them. application needs to evaluate an expression with the Evaluate method. If the VB applications must access different worksheets they can all be-opened by the same instance of Excel. stop the timer at will. When the application executes auxiliary code, we should be able to pause the timer, then continue timing. After the operation to be timed completes the must be able to read the elapsed time. Let’s implement the timing logic in a Modules By implementing the g logic in a Module, we can reuse the component with other projects (ln general you shouldn’t include the logic of timing or other auxiliary operations in your code It’s best to isolate this-logic and make it available to your application with a few procedure calls). 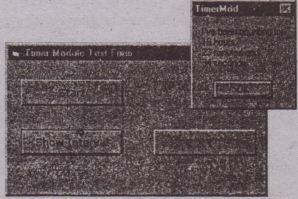 The application we’ll develop in this on is called Tuner Mod, and you’ll find it in this chapter’s’ folder on the CD. Start a new project, add a Module to the project, and then insert the following lines in the Module. 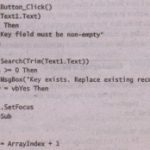 The subroutine Start Counting () starts the timer and the subroutine Stop Counting() pauses the timer. Each time the timer is stopped the Total internet variable is updated. To find out the elapsed time the application must read the value of the variable. Finally the Reset Timer subroutine resets the timer. The timing logic doesn’t… allow you to read the elapsed time We the timer is running you joust first call the.Stop. Counting method t~ update the variable Total Interval then read the variable’s.value. Now switch to the application’s Form.and place two buttons on the Form. Set their captions to Start Tuning and Show Interval, as shown in Figure 15.1.Then insert the following lines in the Form’ s Code window. Total Interval-O. 00453567 .. This is possible and the value shown is a valid time value, but what if he attempts to set the variable to an invalid value like: Total interval. – 99 The program will most likely work, but it will no longer report the correct elapsed time. Another programmer may ignore the Reset Tuner O subroutine and attempt to reset the Total interval variable from within the Start Counting subroutine. 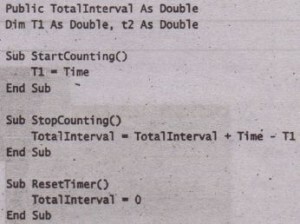 Perhaps he doesn’t really care about pausing and resuming the timing process and it suits him to reset the Total interval variable every time the Start Counting subroutine is called. His project will work (with fewer calls too), but yours will no longer work. And t!-.is is the most important benefit of implementing auxiliary procedures as Class modules to create a component that’s consistent across multiple applications. In addition by implementing the timing logic separately and apart from the application you hide the details of its implementation from the developers who use it. In the same way you don’t have to know how Excel evaluates a complicated. math expression in order to call its Evaluate method.